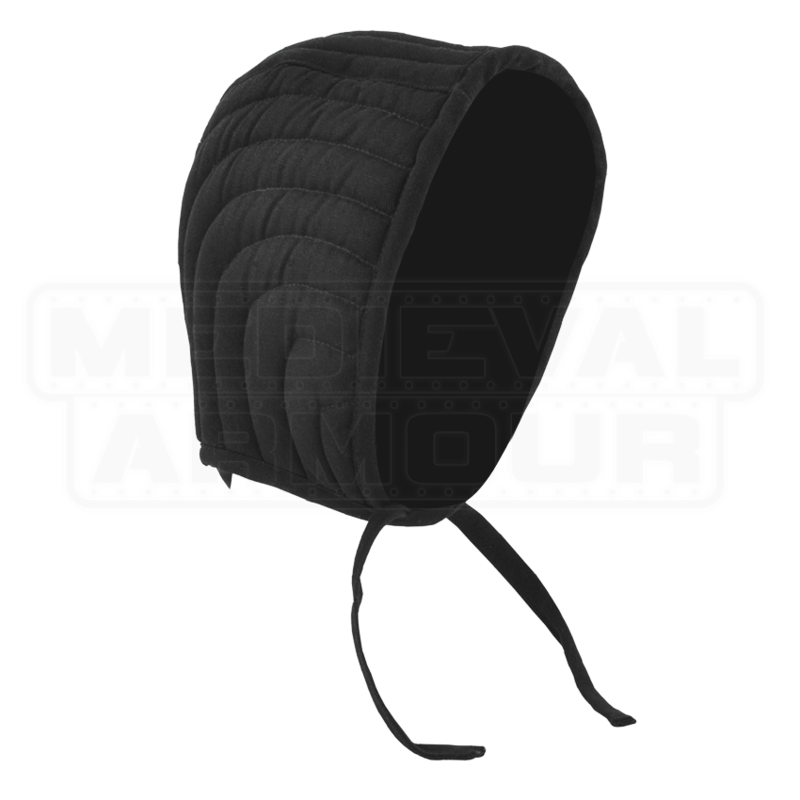 This arming cap is worn under mail coifs and helmets. 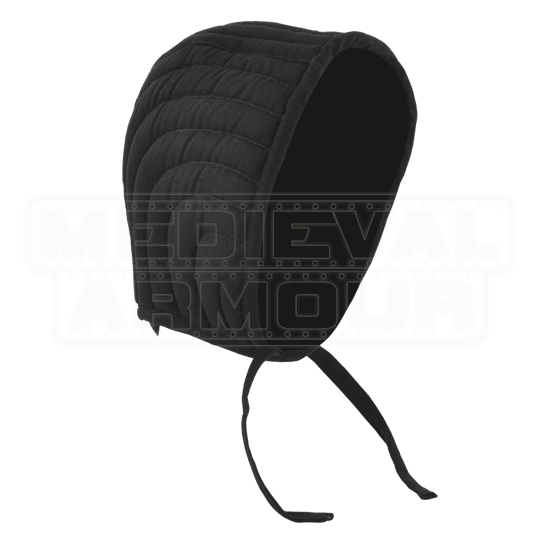 The Arming cap provides both scalp protection against abrasion and a certain amount of shock absorption. Our arming cap is crafted in padded canvas with neck ties. Comes only in Black and size Large. For a 23 inch circumference head it is tight. Maybe needs to be broken in so it wont cause a headache or offer sizes. But the quality is great, would have to buy an over sized helmet or a mail coif to ever use it. Great quality and it meets all of my expectations. Very well crafted item, perfect for keeping a helmet from flopping around. I was impressed with the thickness of padding it provides. Dan H.